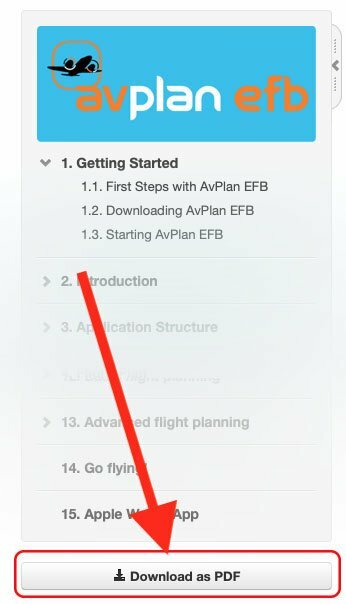 AvPlan EFB is the premier portable flight planning and electronic flight bag for the Apple iPad and iPhone for pilots. Download and save copies of all aviation maps and aerodrome documents. These are then available to use when there is intermittent/no network access. Prepare a flight plan, download and incorporate winds and then submit the plan via IFIS and/or NAIPS. AvPlan EFB incorporates the functionality to sync your plans and aircraft between your various Apple devices. Download and save weather briefings from NAIPS/IFIS. Prepare an aircraft loading plan and view the weight and balance envelope. Add, delete and share custom aircraft profiles. Determine the optimal altitudes for your flight. Calculate departure, arrival times for all waypoints based on actual arrival times plus forecast winds. Display aircraft routing and current location on all maps and airport diagrams and approach plates. Log and display aircraft track on all maps, airport diagrams and approach plates. Quickly display status of PRD areas. Provide easy access to AIP information. If you’d like to download this manual (for printing, etc), there is a Download as PDF option at the bottom of the Table of Contents column.